What Is DA Form 4689? 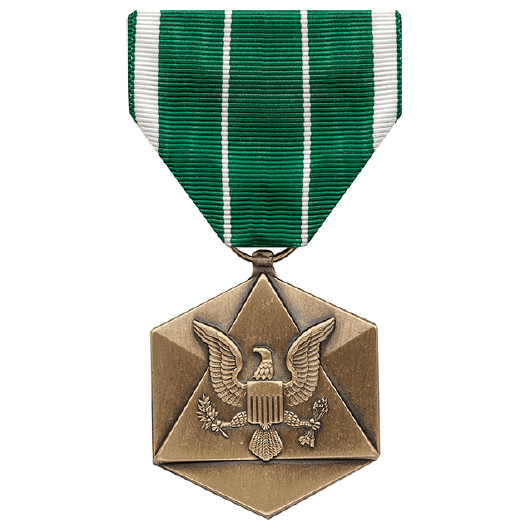 DA Form 4689, Civilian Service Commendation Medal is an award given to civilian employees within the U.S. Army for outstanding performance and excellence. This award consists of the DA Form 4689, a medal and a lapel button and is approved by commanders ranked O-6 (colonels) and above. The latest version of the certificate - sometimes incorrectly referred to as the DD Form 4689 - was released by the Department of the Army (DA) in January 2019 with all previous editions obsolete. The form is currently inactive with no DA Form 4689 fillable copies available online or on the Army Publishing Directorate website. Additional information about the award can be found in the Army Regulation 672-20 (Incentive Awards) released in November 2018. The AR 672-20 introduced a new title to the DA Form 4689 which was previously called the "Commander's Award for Civilian Service" and proposed additional guidelines for honorary civilian awards and service awards. Setting an example of achievement by showing perfect performance. Devising new or improved equipment and conceiving inventions and work methods that improved the health and safety or reduced the expenses of their workplace. Improving the productivity of their unit by demonstrating leadership in their assigned tasks. Performing outstanding public relations services that resulted in positive publicity in the local area. Demonstrating courage or competence in an emergency situation while performing their assigned duties. The DA Form 7014 (Distinguished Civilian Service Medal) is an award granted by the SECARMY that consists of a medal, lapel button, and the citation certificate itself. The DA Form 7015 (Superior Civilian Service Medal) is an award, granted by the SECARMY, ACOMs, ASCCs, DRUs commanders or the AASA for HQDA. The DA Form 5655 (Meritorious Civilian Service Medal) and the DA Form 5654 (Civilian Service Achievement Medal) are two other awards that are given to civilian employees for commendable performance. The DA Form 5652 (Civilian Award for Humanitarian Service) is an award granted by the SECARMY or the commanders of ACOMs, ASCCs, DRUs for humanitarian service.